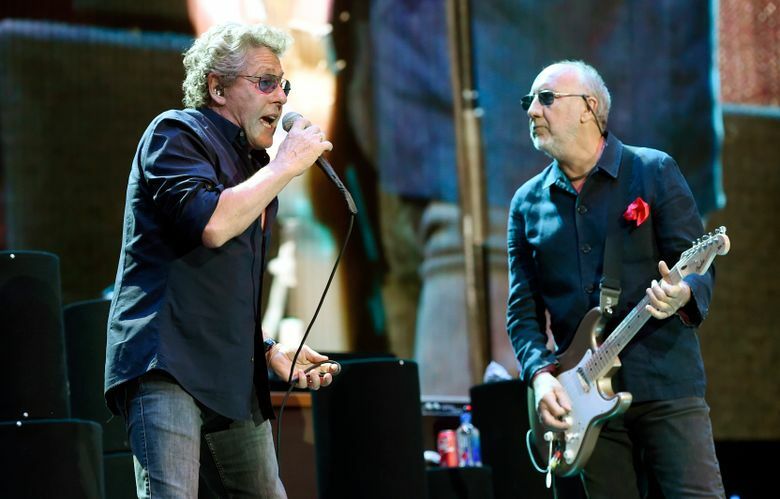 Led by Roger Daltrey and Pete Townshend, the British rock giants play the Mariners' newly renamed home on Oct. 19. The newly christened T-Mobile Park has its first concert on the calendar. English rock greats The Who are set to play the ballpark formerly known as Safeco Field this fall. Last week the band teased its Moving On! tour — which Rolling Stone reports has the Pinball Wizards playing with local orchestras in each city — before announcing the dates Monday morning. The tour comes to Seattle on Oct. 19, presumably after the downward-trending Mariners have packed it up for the season. Fan club and Ticketmaster presales begin 10 a.m. Wednesday, Jan. 16, followed by Live Nation and T-Mobile Park presales 10 a.m. Thursday, Jan. 17. Tickets then become available to the general public 10 a.m. Friday, Jan. 18. As for the local orchestra part of the equation, it’s unclear exactly which hometown players will be involved (though we have some feelers out). Last month the Mariners announced the changing of the stadium’s name to T-Mobile Park, after the Bellevue-based communications giant procured the naming rights in an $87.5 million deal.